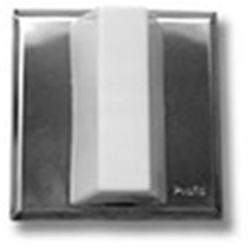 The 302-2C Dome Light is designed to be installed over the door outside the restroom. Each unit contains a buzzer and two lamps (bayonet type). For call indications which may be used for one or two seperate areas. For two seperate areas, dome light must be mounted horizontally to create a left and a right indication.